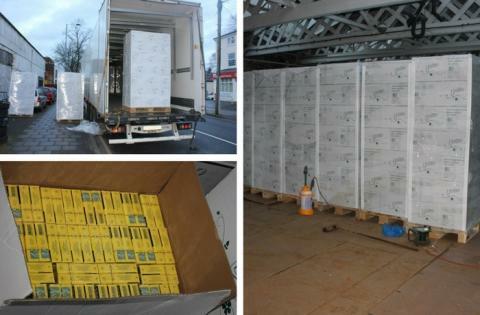 A smuggler, caught unloading contraband cigarettes and tobacco hidden in the back of a lorry among boxes of tissues, had his scam blown apart by an HM Revenue and Customs (HMRC) investigation. 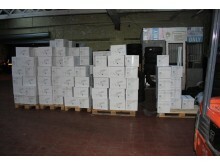 Artur Golebiowski, 38, a sales assistant of Greenford, West London, was arrested as he unloaded his stash at a lock-up in Handsworth, Birmingham. 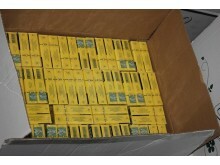 Officers found that he had created false documents and hijacked a company’s identity to import the tobacco into the UK. 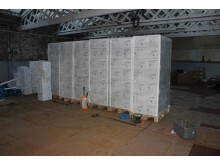 The lorry contained 179,460 Jin Ling cigarettes and 37kg of shredded tobacco worth £53,287.31 in evaded duty. Golebiowski was this week handed an 18-month prison sentence suspended for two years, fined £7,500 and has to pay £1,800 costs and ordered to do 100 hours of unpaid work. “Golebiowski hoped that false import documents would prevent the illegal load being discovered, but he’s now paying the price with a criminal record. The illegal tobacco trade takes money away from vital public services and honest, hardworking traders. 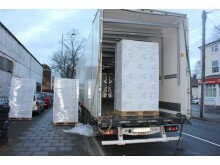 Golebiowski, originally from Poland, admitted evading excise duty at Birmingham Crown Court on 30 October 2017 and was sentenced on 6 December 2017. Artur Golebiowski,DOB 10/08/1979, a sales assistant from Queens Avenue, Greenford, London, UB6.He pleaded guilty to the fraudulent evasion of excise duty, contrary to Section 170(2) of the Customs and Excise Management Act 1979, in relation to 179,460 Jin Lin cigarettes and 37kg of shredded tobacco. He was sentenced to 18 months in jail, suspended for two years, 100 hours of unpaid work, fined £7,500 with costs of £1,800. If the fine is not paid he will have six months added to his jail sentence.